Mesothelioma cancer is a deadly disease that spurs from the mesothelium. The mesothelium is the thin, protective lining, that covers most of the bodies organs. Mesothelioma forms by mutating healthy cells into malignant cells. The malignant cells then begin to form tumors throughout the body. Mesothelioma cancer most commonly spurs in the mesothelium lining of the lungs, abdomen, and heart. Unfortunately, mesothelioma is one of the more rapidly spreading cancers and the survival rate is low. The deadly disease is directly linked to prolonged asbestos exposure. Mesothelioma medication, therapy, doctor visits, and travel to doctor’s visits can be costly. You may be entitled to compensation for your losses. At Eisner, we have a team of attorneys and professionals that will get you the maximum reward you deserve. Mesothelioma is a technical and confusing field, let our attorneys help you. 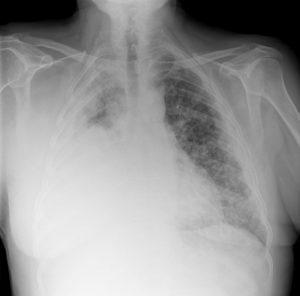 Pleural Mesothelioma – About 70% of mesothelioma cases reported are Pleural Mesothelioma. Pleural Mesothelioma attacks the mesothelium lining around the lungs. Although this is the most common form of mesothelioma, it is one of the hardest to diagnose. Biphasic Mesothelioma – Biphasic Mesothelioma accounts for about 40% of Mesothelioma cases. Biphasic Mesothelioma is best described as a mix of different cancer cells in separate areas of the body. Peritoneal Mesothelioma – Peritoneal Mesothelioma accounts for about 20% of reported cases. Peritoneal Mesothelioma attacks the protective lining that covers the abdomen area. The most common symptom of this type of cancer is the severe abdominal pain. This type of cancer is known for spreading to the liver, spline, and other abdominal organs. Pericardial Mesothelioma – Pericardial Mesothelioma only accounts for about 5% of cases. Pericardial Mesothelioma affects the mesothelium lining of the heart. This is the rarest form of mesothelioma. When this cancer begins to attack the heart it strangles it and cuts off the delivery of oxygen to the rest of the body. The survival rate of mesothelioma is very low – low. This deadly cancer also comes with a life expectancy of 12-21 months. It is important to get checked if you have worked with asbestos for a significant period of your life. Let us help you and get you the compensation you deserve. 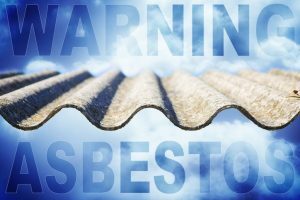 Punitive damages may be awarded if the employer was aware there was asbestos in the worksite and did not make it known. In this case, the employer must be punished and might be personally liable. In the case of mesothelioma cancer, it is possible to file two different lawsuits in court. The victim can file a personal injury lawsuit and a wrongful death suit. A personal injury lawsuit can be filed against one or many companies that are responsible for having the worker work in an asbestos infested area. Often, personal injury claims are settled outside of money for an agreed upon sum of money. A wrongful death lawsuit can also be filed in court. In the case of a wrongful death lawsuit, a family member of the victim of an asbestos-related disease can sue the responsible party or parties for damages. There is a greater chance that you will have to appear in court for a wrongful death lawsuit. Mesothelioma is a rare and deadly form of cancer. The asbestos-related disease spreads quickly and as a result, has a low survival rate and short life expectancy. It is important that you catch this cancer early in order to have your best chance of fighting it. Mesothelioma cases can be confusing and difficult to navigate on your own. The price of fighting mesothelioma can become expensive. It includes doctors visits, therapy, treatment, travel, lost wages and other costs. At Eisner, our team of attorneys and former doctors can assess your individual situation in order to get you the highest compensation package possible. Contact us and we will fight for your justice. Link back to mesothelioma page.